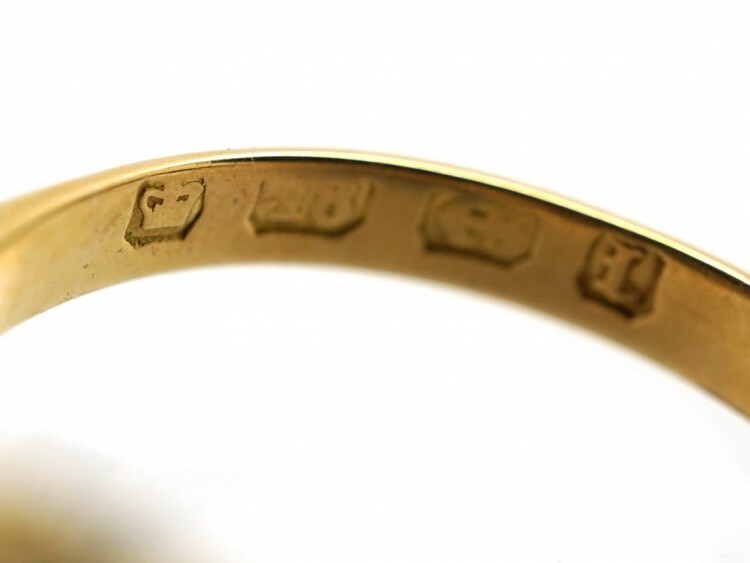 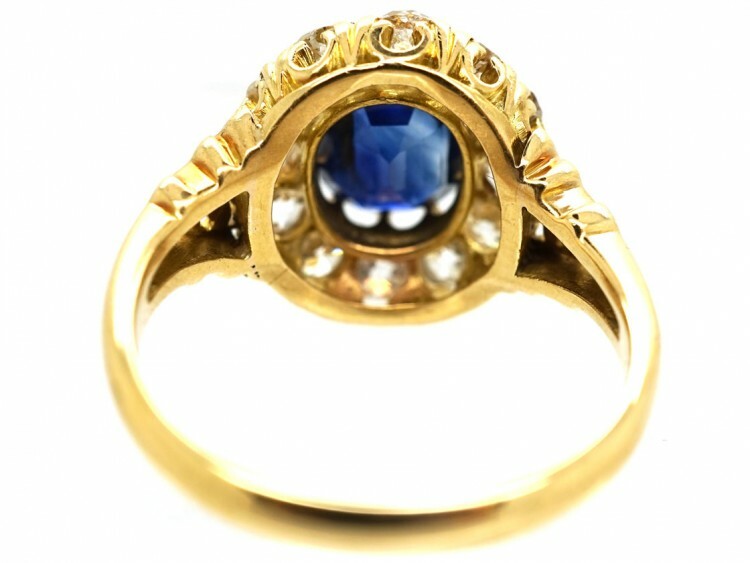 A wonderful Victorian 18ct gold ring made in 1885. 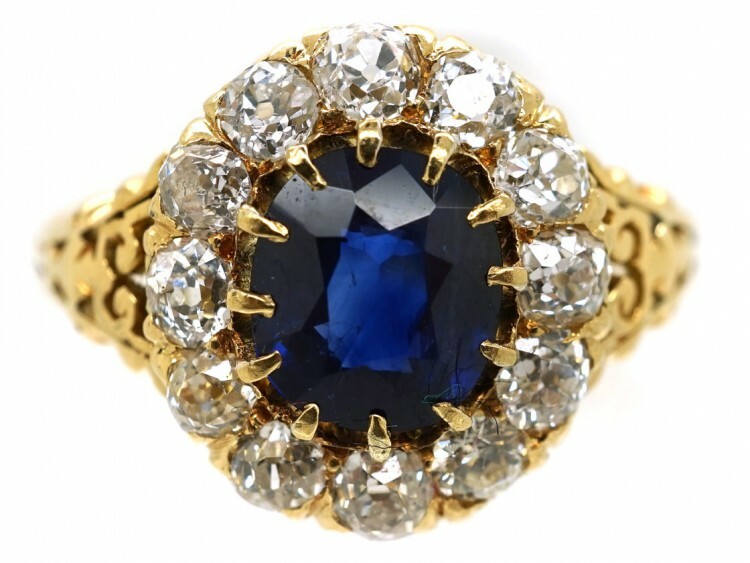 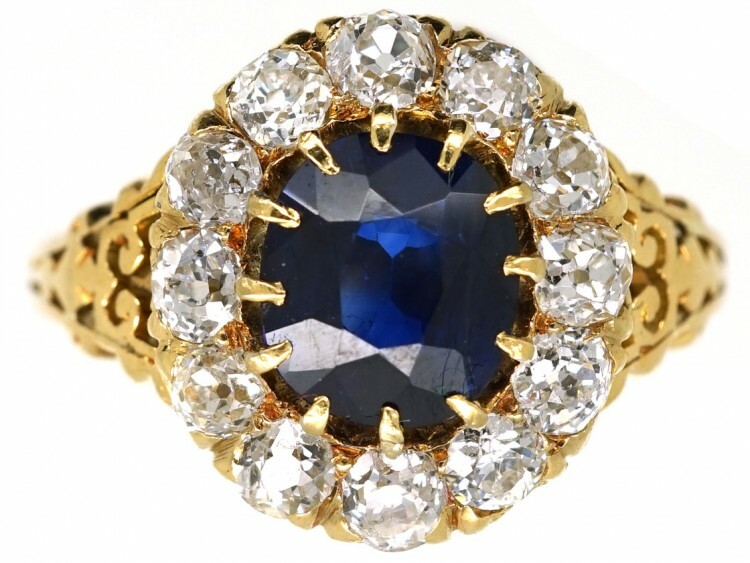 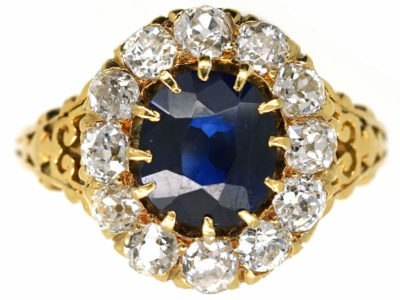 It is set with an oval sapphire, most likely of Burma origin. 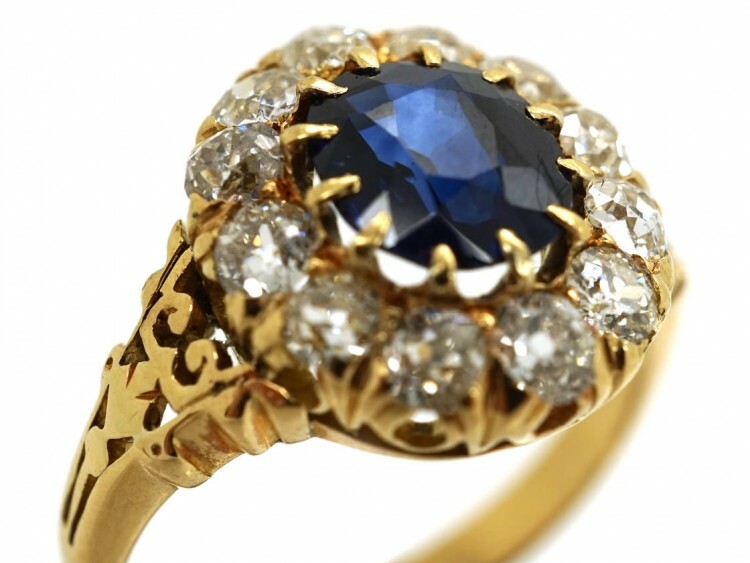 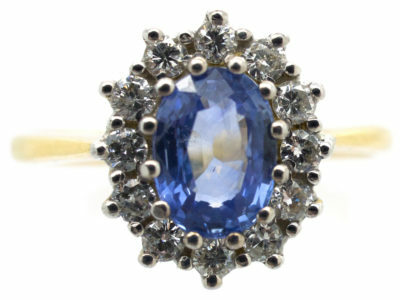 There are twelve bright old mine cut diamonds around the sapphire. 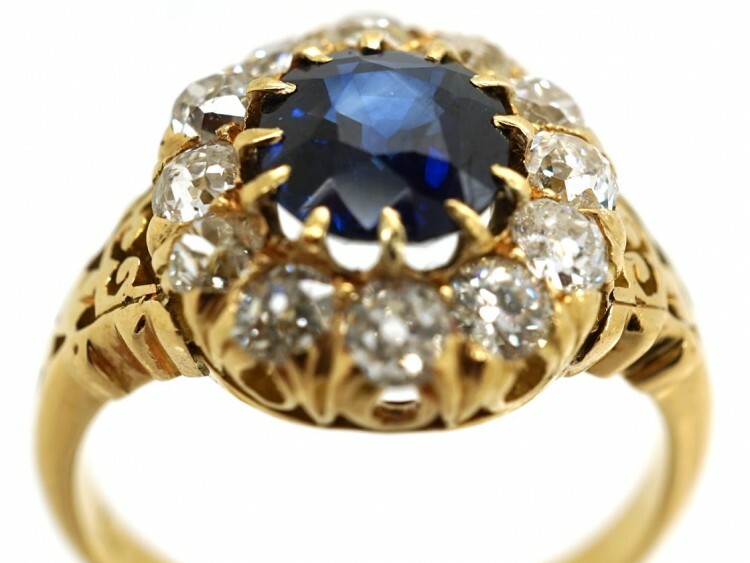 The shank has pretty pierced work shoulders. 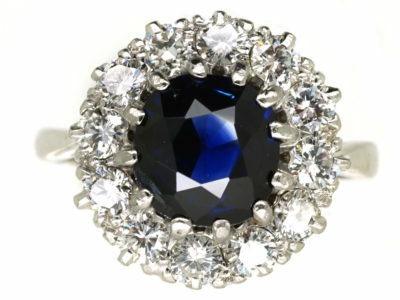 It is in lovely condition and would be ideal as an engagement ring. 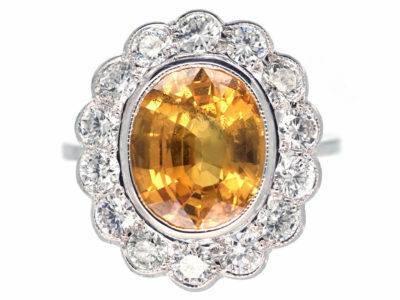 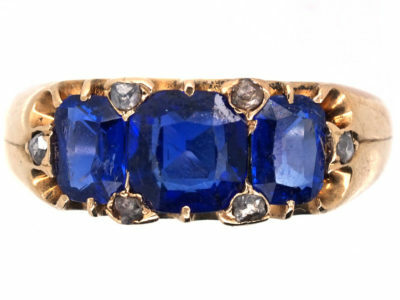 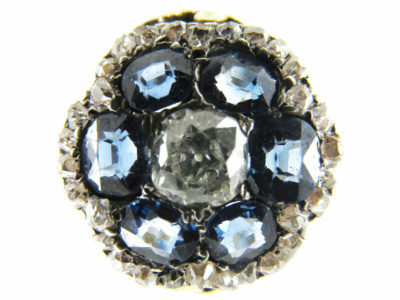 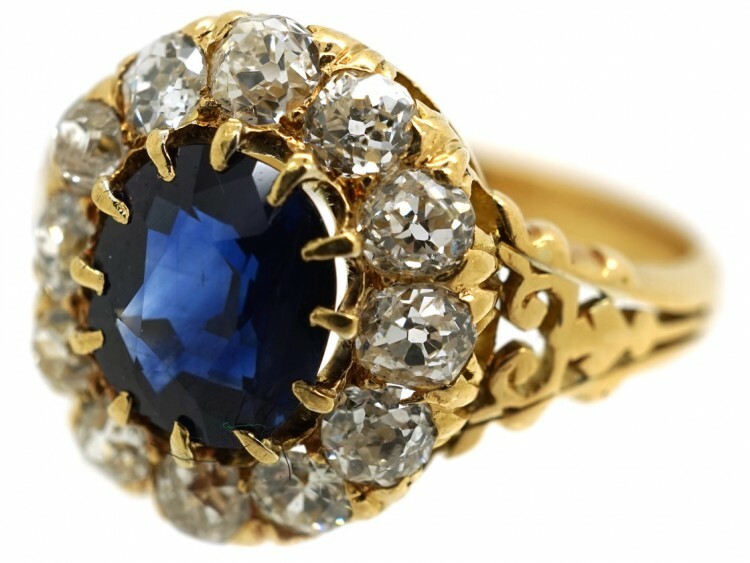 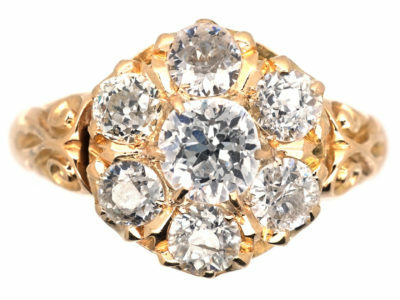 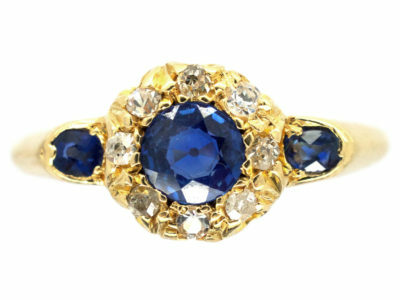 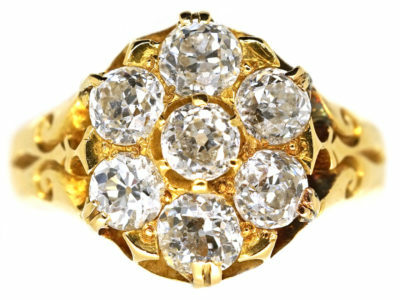 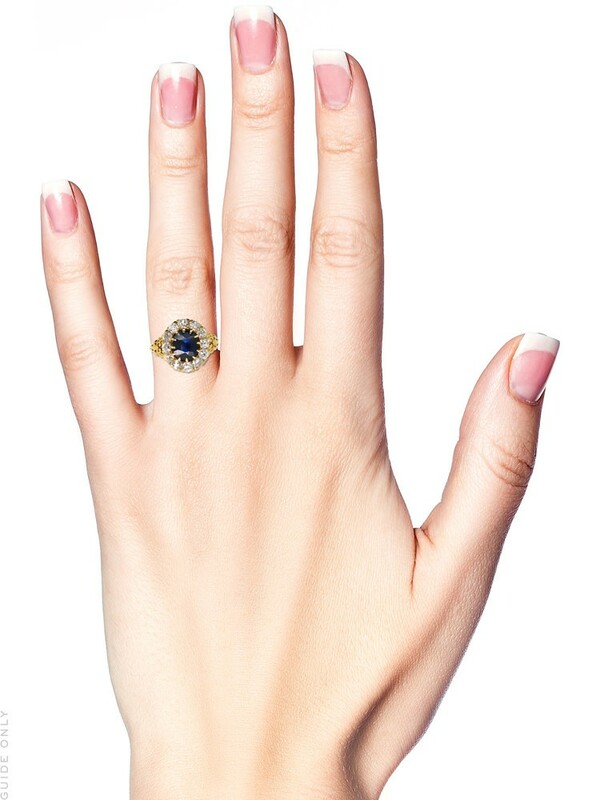 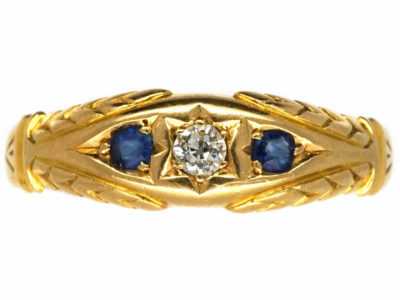 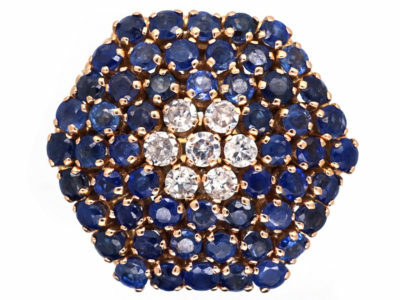 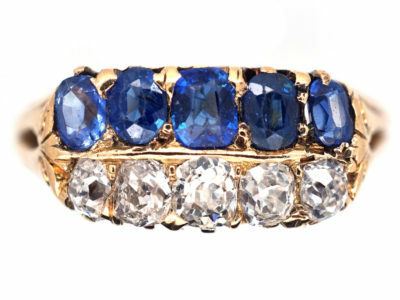 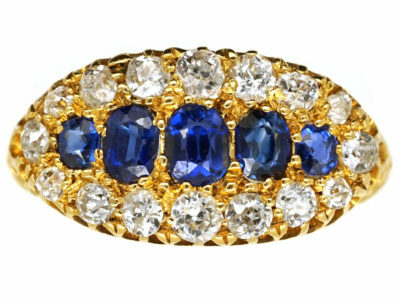 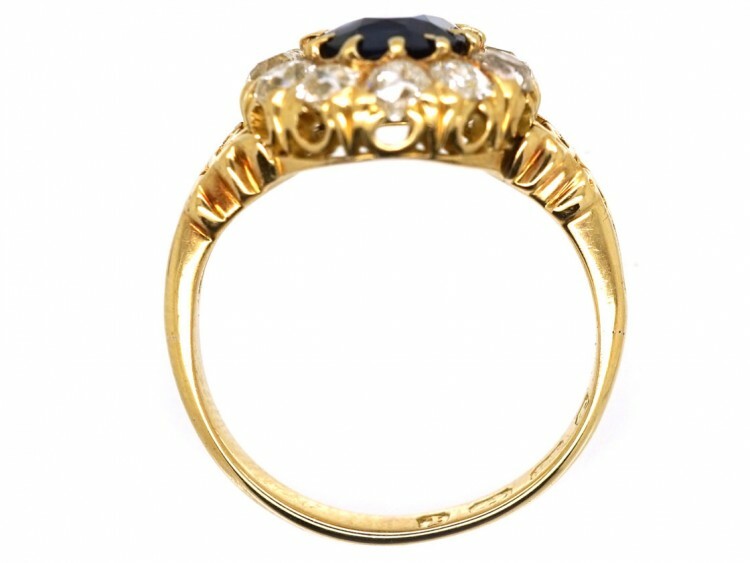 Just the sort of Victorian ring that I love!